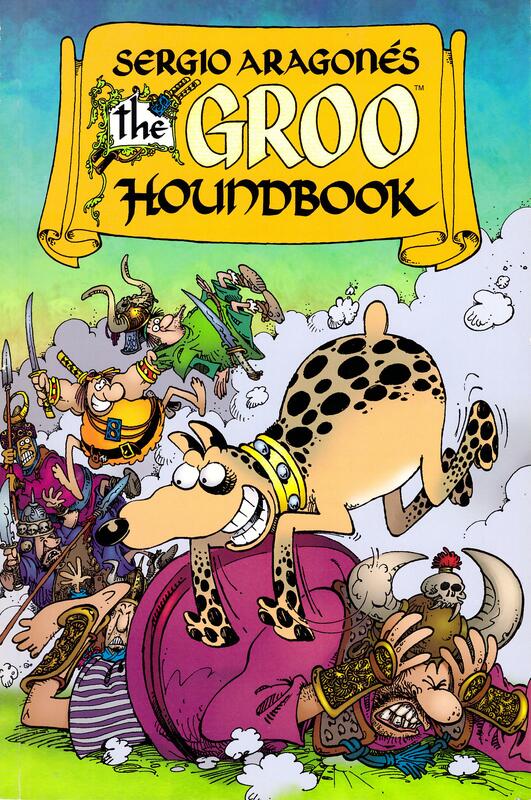 As the title suggests, the reprints of 1980s Groo stories have arrived at the point where the Groo family was cemented by the addition of Rufferto, Groo’s faithful hound. 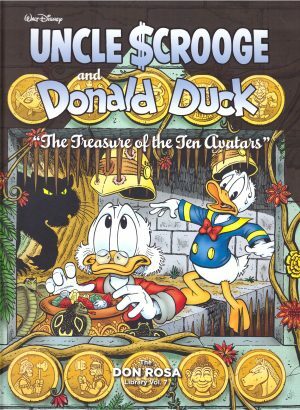 In his afterword Mark Evanier notes how sometimes characters write themselves into the strip, and the creators lose control, and so it was with Rufferto, who he and Sergio Aragonés only expected to hang around for a couple of stories before parting ways with Groo. Instead Rufferto became a permanent fixture. 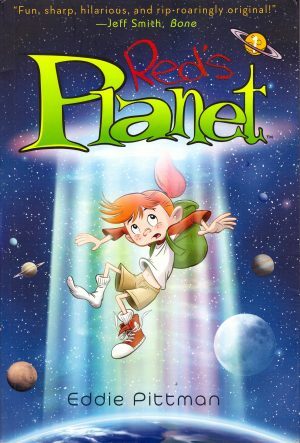 Rufferto’s introduction is a fantastic piece of slapstick plotting. Relying on thought balloons may be considered old fashioned, but Rufferto’s introduction is a sublime use. It’s really the only way to convey Rufferto’s thoughts of finding himself attached to a true hero that loves and protects him after he’s run away from home seeking a more appreciative owner. 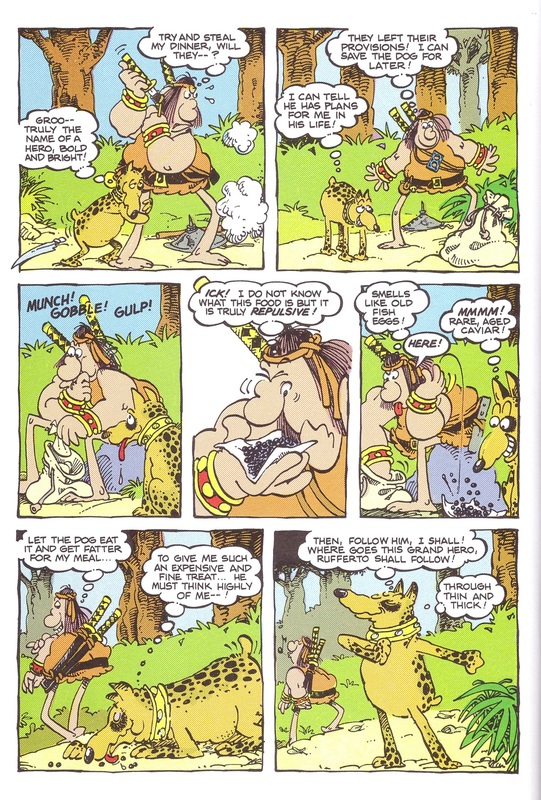 The masterstroke is contrasting that with Groo thinking about how he might be able to eat the dog, and circumstances plotted so neatly that every time Groo considers that again something occurs to prevent it and further convince Rufferto that Groo is protecting him. Visually, it’s interesting to see Rufferto evolve over the four stories, as despite basing him on his own dog, Aragonés refines his look. 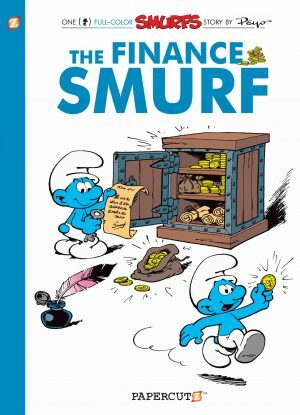 The four stories here are all loosely connected, as over the course of them Groo acquires ever greater amounts of money. Of course, to him it’s a largely meaningless concept and carrying it all around is a nuisance. Meanwhile others are eyeing him up, aware that they’ll never be able to take it from him by force, so resort to repeated trickery, only to find that some fools and their money aren’t so easily parted after all. And we’re talking top class shysters here, Taranto and his thugs, and Pal and Drumm. 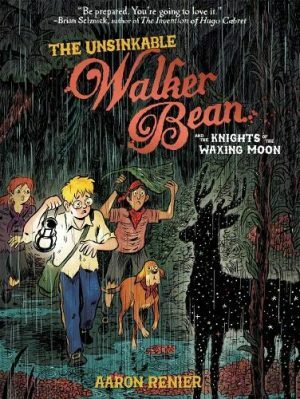 Along the way Groo goes into arms dealing and in a fine satire of banking practice in the final story, the promise of Groo’s investment stimulates a town’s economy. Groo thrives on misunderstanding and slapstick, and this presents another four gems. The Groo Inferno is next.